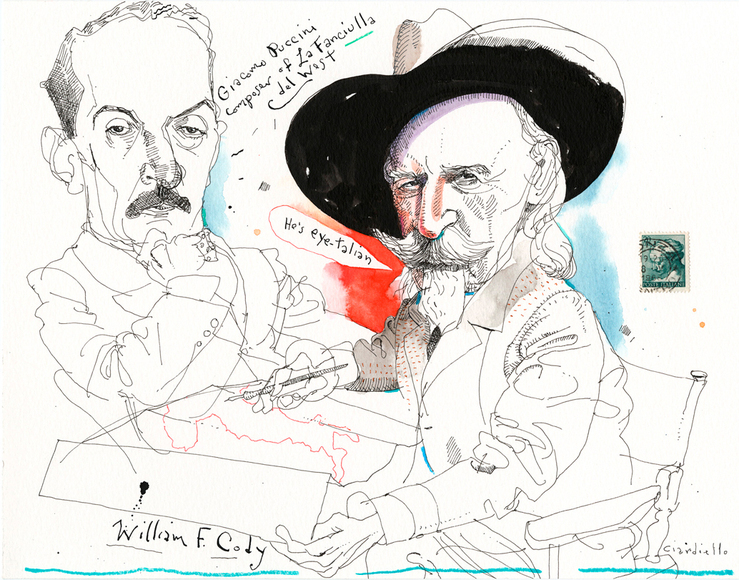 I was very happy to learn that 3 pieces of mine were accepted to the Society of Illustrators 55th Annual and that the piece above won a silver medal in the Institutional category. Big thank you to all the jurors. The art (which is a hand colored etching) was published in SIC magazine. The theme of the issue was "Red". 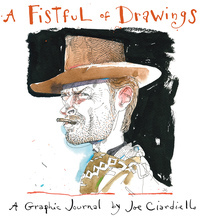 SIC is a promotional publication for the Outsider Art Gallery in Frenchtown, NJ. The publisher/AD is gallery owner Dion Hitchings. Earlier this year, I was one of 4 New Jersey artists selected to participate in a collaborative editions project with the Printmaking Center of NJ. We were each teamed up with a master printer to work with. I have a background in traditional etching and was interested in exploring new non-toxic methods. Solar Plate fit the bill. It's a photo etching process that uses light sensitive polymer plates and a UV exposure unit. The plate is rinsed with tap water and printed like a traditional etching. 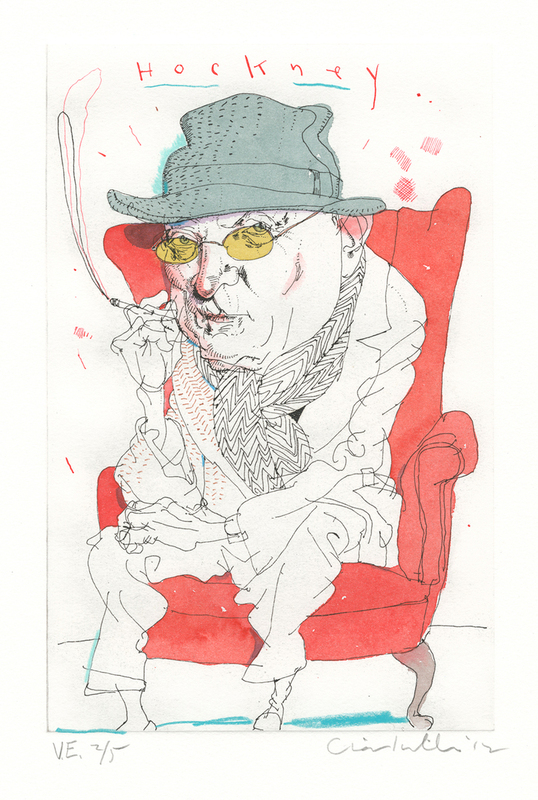 The Hockney piece was the first try. I used an existing pen drawing which was digitally transferred to acetate. The acetate was then placed on the plate and exposed to light in the UV unit. Several versions were tried, both cropped and full image. The plates were inked and printed by a wonderful printer, Sheila Goloborotko, who is their artistic director. I then hand colored the edition. 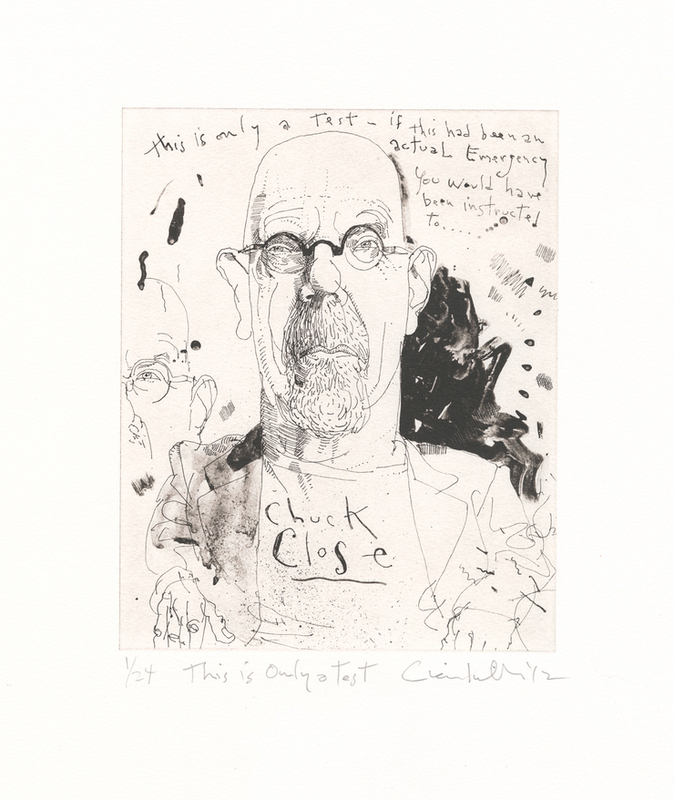 The next print was this one of Chuck Close. In this case, I drew and painted directly on the acetate. The rest of the process was the same as with the Hockney piece. Congratulations Joe, well deserved. 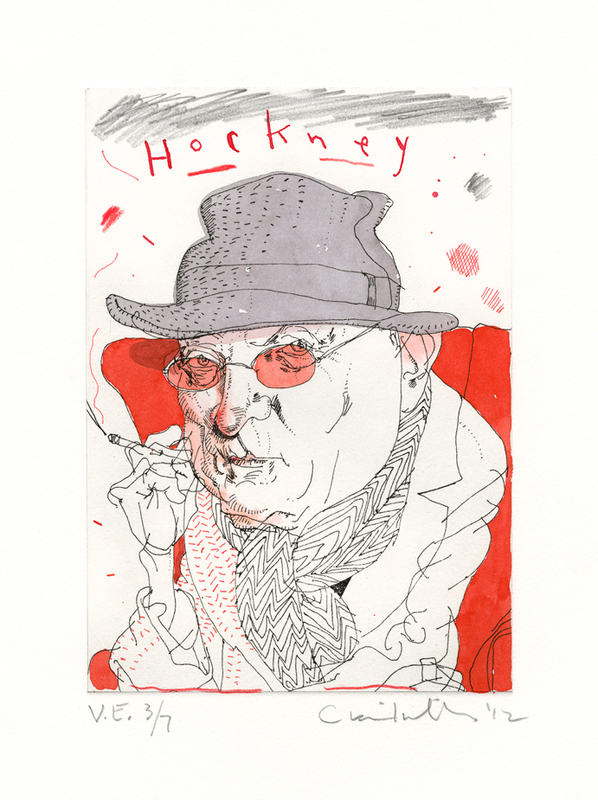 All amazing work, the Hockney portrait is stellar! Congratulations, Joe. It's amazing what you can do with the line. Love the prints, Joe and congrats on the Cody piece. That printing process is perfect for your masterful line. It's inspiring to see you expanding on your strengths with solar etchings, mixed media and hand coloring. Hockney himself would applaud this spirit of experimentation and adventure. That the SI jury recognized these as well is a credit to them and a validation of your terrific work here. Joe: Bravissimo Maestro! As great as you are, you keep getting better, against all imagining. I want to buy the Cody/Puccini. 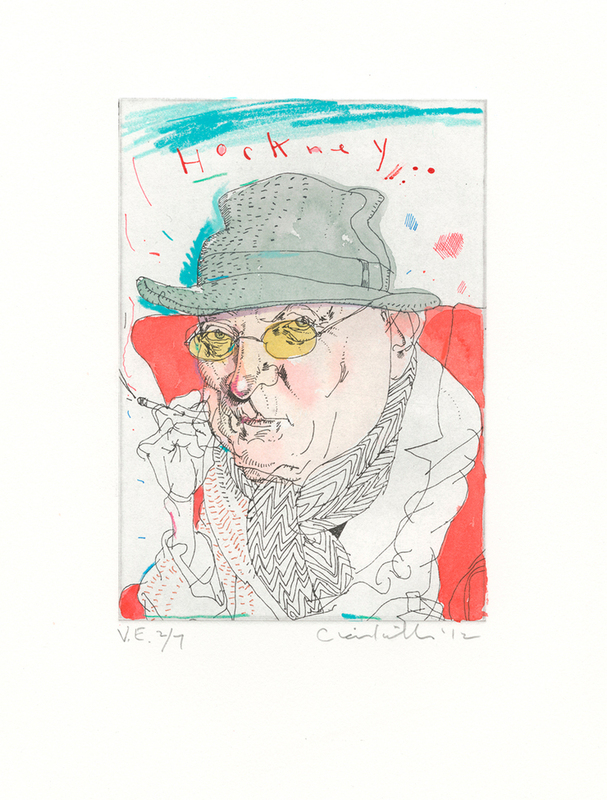 But the Hockney is a hot ginsu knife into this character. The very goal of portraiture. And the process work gives extra impetus. And great inspiration. It would be a dream to work with this outfit for any of us. I hope this post gets them more interested artists. Congrats on the book, which, we are happy to see, is a home for Old Bulls as well as Young Turks. Thinking of you as a Turk, natch. Maybe a Turk in Italy. But that was Rossini. Will work on this. CONGRATS Joe!! Your lines are absolutely lively and enchanting - they are so loose yet define such structure; spontaneous yet precise. Looking forward to see you at the SOI, always enjoy chatting with you! Thanks for the kind words folks. It means a lot coming from such stellar talents. Those are really nice. Love your Hockney piece. These are very nice Joe. 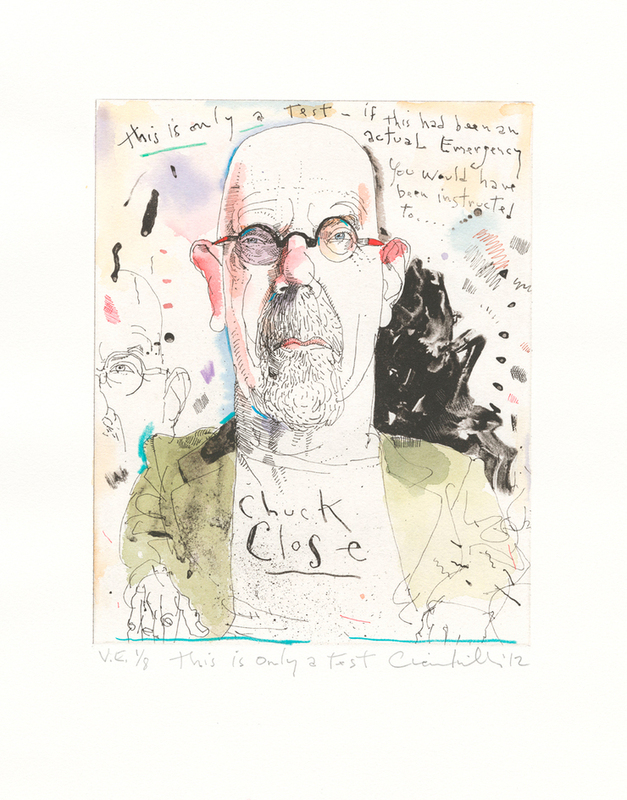 In the Chuck Close portrait, it looks like the solar process also works with grayscale brushwork on the acetate: those smudges on the left and that big brushy area in the upper right. If those kinds of things transfer to the plate then that's a big step because in traditional etching you need several different process to get those effects (sugar lift, aquatint, soft ground, etc). Is it so? Yes Rob. Everything you see in the uncolored version was done directly on the acetate. Another plus is not having to deal with a reversed image. Of course there are many other possibilities with this process that I haven't explored. Thanks! That's good to know. Thanks for taking the plunge. I've loved your work since I was a student at Parsons....it has remained a favorite!